Photos taken on June 5, 2005. Many people may know the term "Possum Kingdom" from the Toadies' 1994 smash hit song with that name. 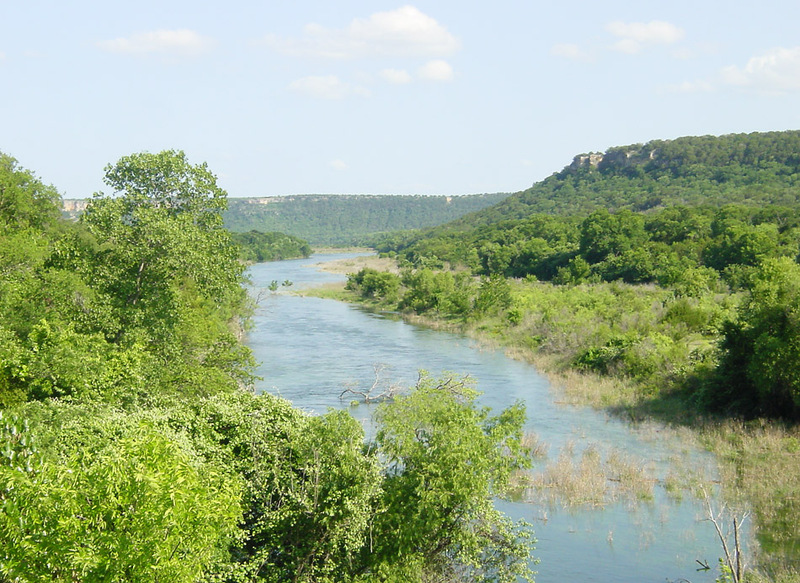 But outside the Dallas-Fort Worth area, probably few people realize that Possum Kingdom is a lake about 50 miles west of Fort Worth. To the youth of 1994, Possum Kingdom was a place where the guy in the song was trying to hook up with a chick. There are other more sinister interpretations of the lyrics, but according to web reports the band never endorsed any particular interpretation, leaving the actual intented message unknown. The Toadies slid into obscurity after "Possum Kingdom". In fact, the song is included in an iTunes compilation called "90s One-Hit Wonders". It is in good company with songs like Chumbawamba's "Tubthumping", Billy Ray Cyrus's "Achy Breaky Heart", and Vanilla Ice's "Ice Ice Baby". 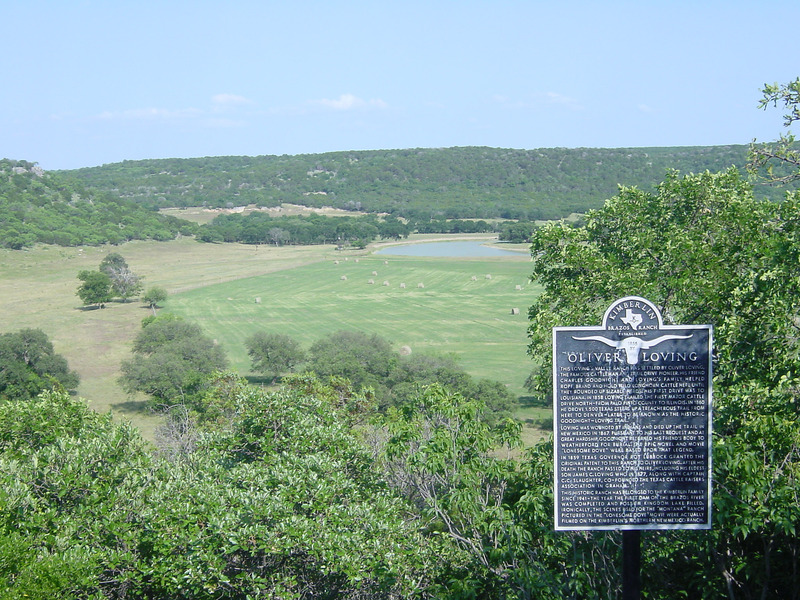 But Possum Kingdom Lake remains, of course. I decided to check it out. 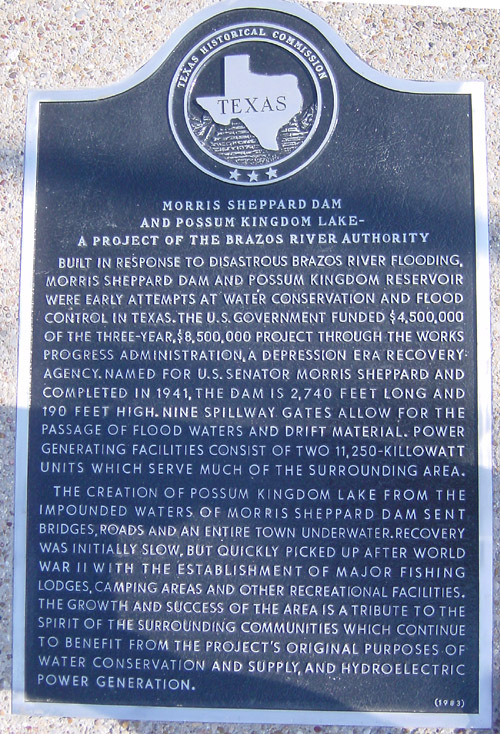 Possum Kingdom is formed by a dam on the Brazos River. 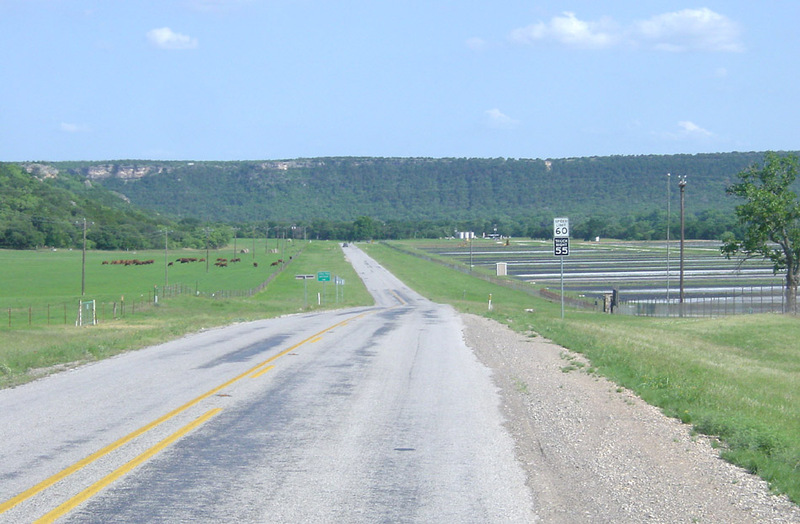 The area around Possum Kingdom lake looks a lot like the terrain northwest of Austin along the Colorado River Highland Lakes. The terrain is rocky, there is lots of brush and scrub with a scattering of live oaks, moderate-sized hills fill the lanscape, and the area has the look of a transition zone to the the arid mesa country that starts about 100 miles to the west. 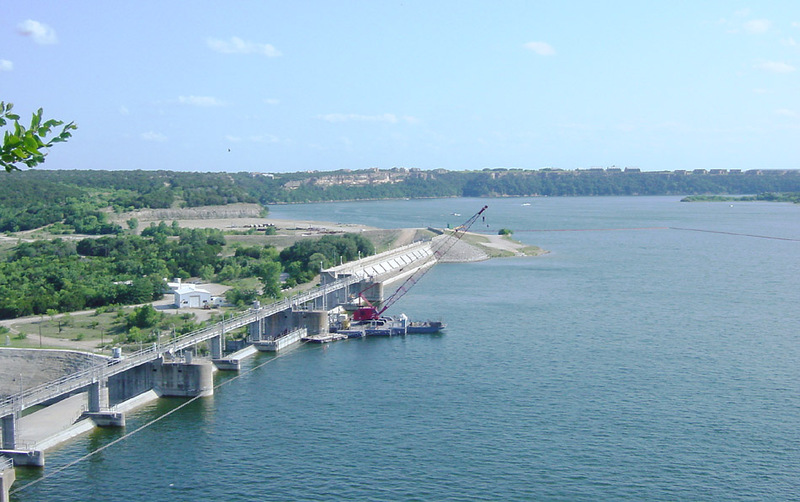 The dam forming Possum Kingdom lake, completed in 1941, was constructed during the same time period when most of the Colorado River Highland Lakes were built. And finally, the lake looks like a Colorado River lake since it is really more like a wide river than a wide expanse of water. 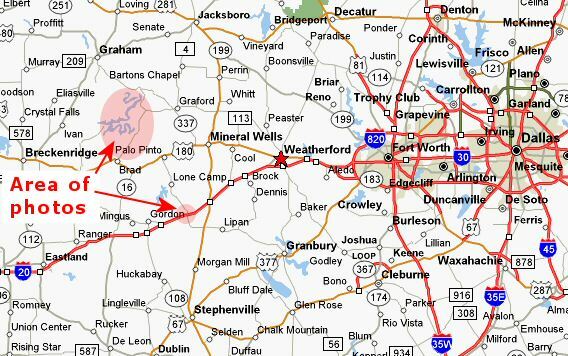 Location of Possum Kingdom Lake, west of Fort Worth. 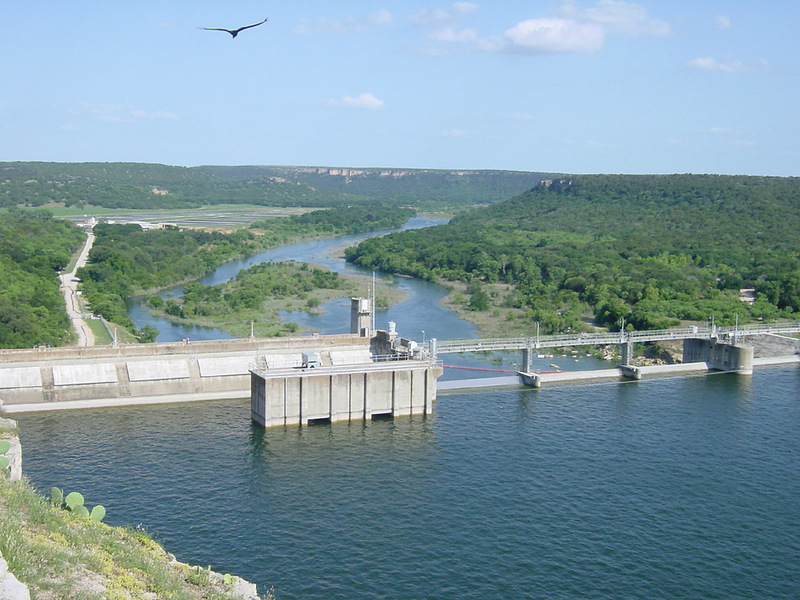 This view is on the lake side of the dam, looking downstream along the Brazos. Here is a view of the dam and lake. The lake is really more like a wide river. 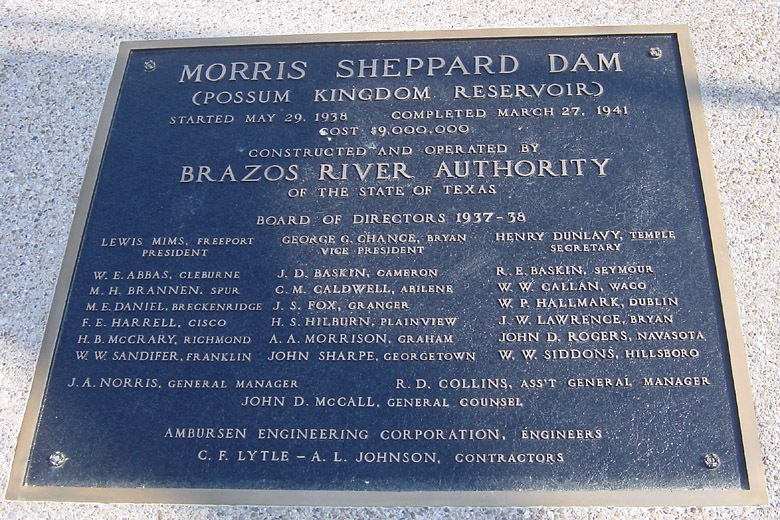 Here's the dam dedication plaque. 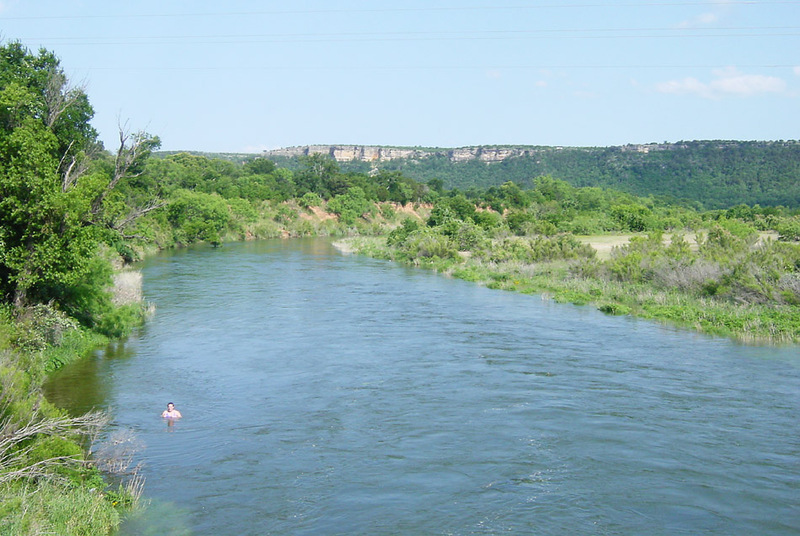 Here is the Brazos River just downstream from the dam. 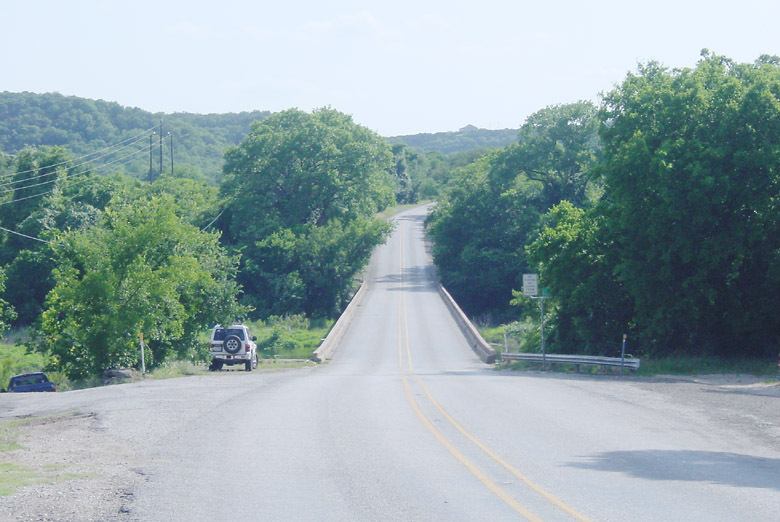 This is the Brazos River as viewed from the SH 16 bridge, just downstream from the dam. (click for high resolution to read plaque) This is a view from SH 16 showing the Loving Valley ranch. There's a lot of history in this area. Charles Goodnight and Oliver Loving settled in this area in the 1850s and started rounding up wild longhorn cattle. When they had a sizable herd they went on a cattle drive to get the animals to market. 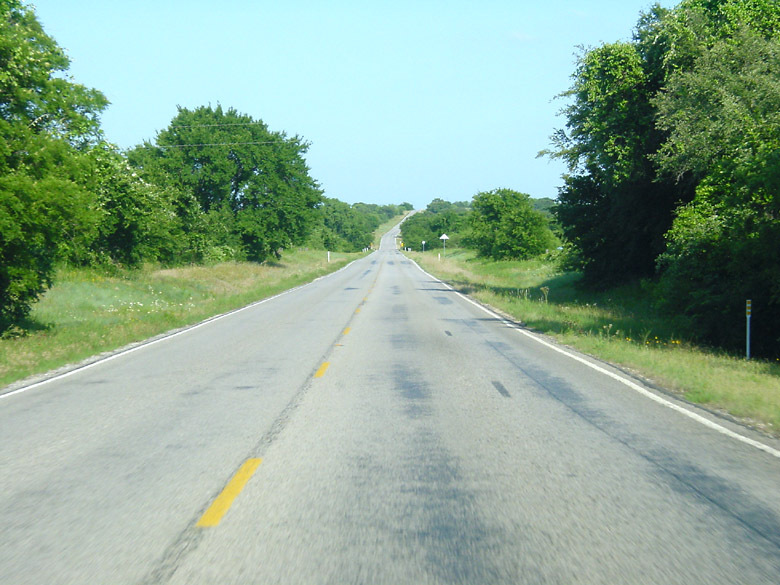 The first drive was to Lousiana, followed by a drive to Illinois in 1958 and a drive to Denver in 1860. The trail to Denver became known as the Goodnight-Loving trail and was the inspiration for the film Lonesome Dove. Loving was killed by Indians in 1867. See the high resolution image to read the historical marker. This is the SH 16 bridge. It is quite old. This is SH 16 north of the Brazos River. To the right is a fishery. 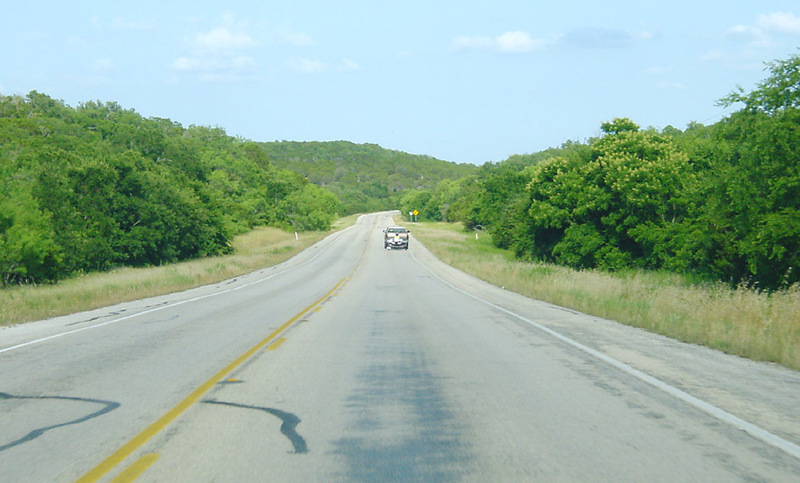 Here is a typical view along SH 16. 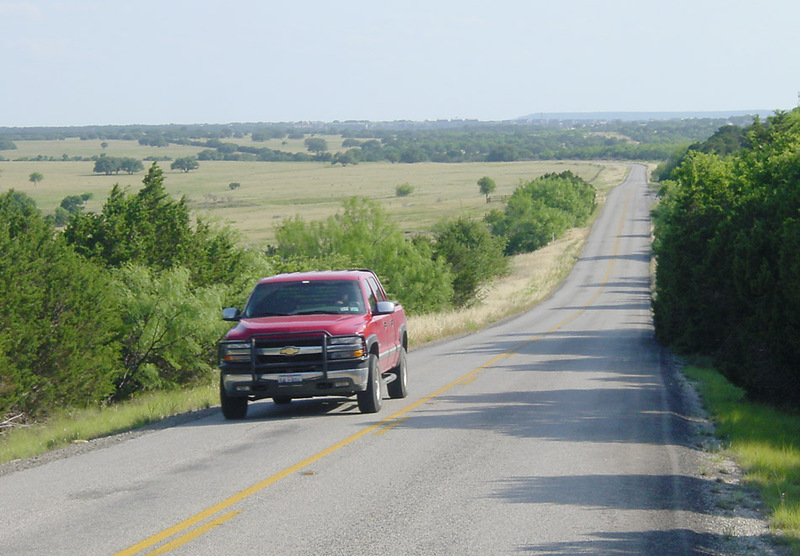 The road is lined with cedar, scrub oak, and (what looks like) mesquite. This view shows a wide valley. Thanks to good rains, the area was green and the cattle are happy. Driver's view of SH 16. Here is a view of Interstate 20 at FM 4. 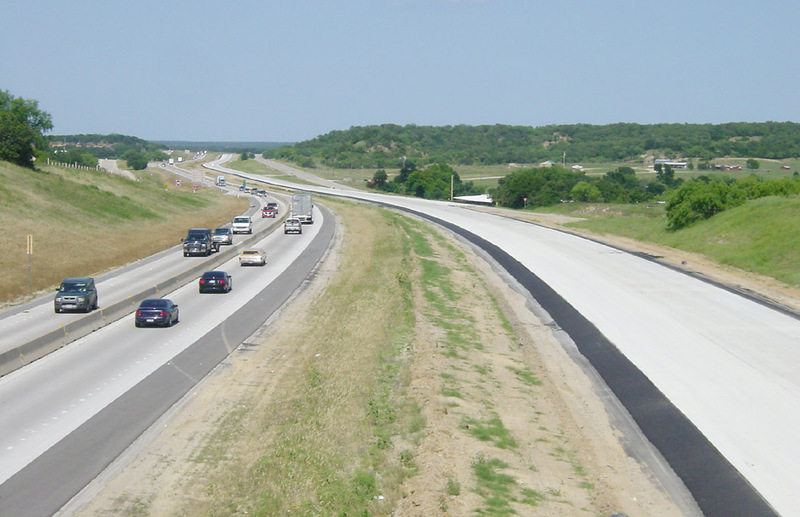 The eastbound lanes are currently closed for reconstruction of the pavement, which appears to be nearly complete.